As on 31st January, 2017, sugar mills in the country have produced 128.55 lac tons of sugar, as compared to 142.80 produced last season on the corresponding date. About 334 sugar mills are still operating in the current sugar season, whereas 494 sugar mills were operating last year at the end of January. 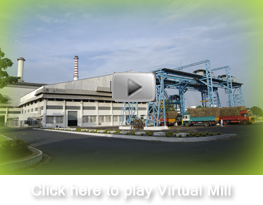 · Sugar mills in U.P. have produced 45.59 lac tons of sugar till 31st January 2017, as against 35.94 lac tons produced last year same period, i.e. almost 10 lac tons more than last year. As per field reports on yield and drawal of cane for sugar production, sugar mills in U.P. are expected to produce another 39-40 lac tons of sugar. In 2006-07 SS, sugar mills in U.P. had produced about 38 lac tons of sugar till 31st January, 2007 and in the balance crushing period produced about 47 lac tons, taking the total production to over 85 lac tons. The cane acreage in 2016-17 SS in U.P. is also similar to that in 2006-07, but the area under high yielding and high sugar recovery varieties is more. · In Maharashtra, sugar mills have so far produced 36.76 lac tons of sugar, compared with 54.17 lac tons produced by them last year same period. 58 sugar mills continue to crush sugarcane in the State, mostly in the southern part of Maharashtra in Kolhapur, Sangli and Satara Districts. · In case of Karnataka, till 31st January, 2017, sugar mills have produced 20.25 lac tons, as compared to 26.92 lac tons produced by them last year same period. 13 sugar mills are still operating in the State. · In case of Tamil Nadu, as compared to 37 sugar mills which operated in the State in 2015-16 SS as on 31st January 2016, 36 sugar mills are in operation during the current 2016-17 SS as on 31st Jan. 2017. These mills have produced 3.50 lac tons of sugar till 31st January’17 as compared to 2.66 lac tons produced in 2015-16 SS on the corresponding date. · Gujarat has produced 5.75 lac tons of sugar till 31st January 2017 with 20 sugar mills in operation. Last year, 19 sugar mills were in operation on 31st January 2016 and they had produced 6.99 lac tons of sugar. · In Andhra Pradesh and Telangana, sugar mills have produced 3.50 lac tons as on 31st January 2017, as compared to 4.10 lac tons produced on the corresponding date last season. · In Bihar, Uttarakhand, Punjab, Haryana and Madhya Pradesh & Chhattisgarh, sugar production till 31st January 2017 is in the order of 3.00 lac tons, 1.73 lac tons, 3.00 lac tons, 2.60 lac tons and 2.60 lac tons, respectively. · Along with reports of lower sugar production in the current season as compared to that expected earlier, reports are also coming in of lower sugar sales. Last year in January 2016, almost 25 lac tons of sugar was despatched by sugar mills, whereas the off-take has been significantly lower in January 2017. The trend noticed in October – December 2016 with sugar sales by mills was lower by 5.5 lac tons in 2016-17SS, is continuing in January 2017 also. · With the Government of India deciding against providing subsidy for PDS sugar to the State Governments which last year was Rs. 4500 crore but this year proposed to be reduced to Rs. 200 crore, there might be a lower off-take of sugar sales for PDS and ration shops. Some States who maintain buffer for distribution through ration shops may not do so in future.